Thomas H. Kennedy concentrates on mergers, acquisitions and other transactions, with an emphasis on the telecommunications, media and technology industries. Mr. Kennedy serves as global head of Knowledge Strategy for the firm, leading Skadden’s thought leadership, knowledge management and client communications programs across practices and offices. Aviall, Inc. in its acquisition by The Boeing Company (2006). Mr. Kennedy also has significant experience in the air transportation industry, including past work for UAL Corporation and United Airlines; US Airways Group, Inc.; Aerolíneas Argentinas; Iberia Líneas Aéreas de España; and Polar Air Cargo. Mr. Kennedy has practiced in the merger and acquisition arena since 1981 and has significant experience in hostile transactions, leveraged buyouts, bankruptcy and reorganization matters, special committees, proxy fights and other corporate governance matters. He repeatedly has been selected for inclusion in Chambers Global: The World’s Leading Lawyers for Business, Chambers USA: America’s Leading Lawyers for Business, The Best Lawyers in America and Lawdragon 500 Leading Lawyers in America. Mr. Kennedy is a member of the New York City Bar Association, where he has been a member of the Committee on Securities Regulation. 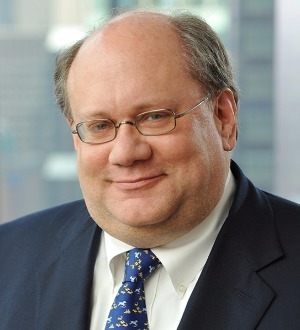 Until recently, he was chairman of the board of directors of Lawyers Alliance for New York, a provider of business and transactional legal services for nonprofit organizations. Mr. Kennedy currently is national chairman of the Annual Fund for Georgetown University Law Center. To view a list of Mr. Kennedy's additional technology and telecommunications industry transactions, please click here.